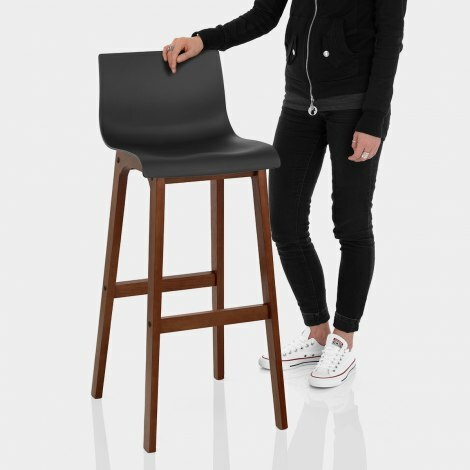 Cool and contemporary, the Drift Walnut & Black Bar Stool will make a striking focal point in a modern bar area. Set at kitchen counter height, the Drift is a stylish piece that is destined to impress with its original and charming retro appearance. 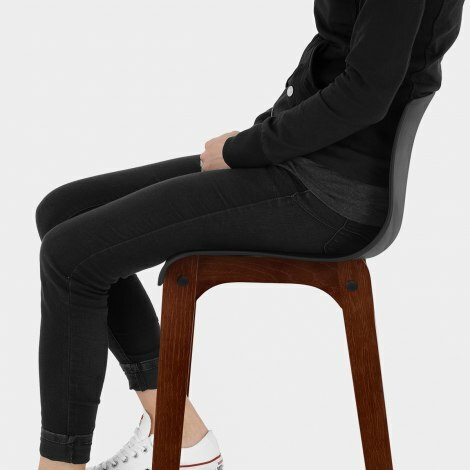 The seat is formed of black matte resin, ergonomically designed to curve around the body, and a medium height backrest provides ample support and comfort. Crafted from solid wood, the four-legged frame boasts a rich walnut finish along with strengthening bracing bars that also double as a footrest when seated. "Comfortable too. Couldn't be happier"
I am very happy with your service and your product. Good value and easy to assemble. Easy product to wipe down when you have two kids that cover it in food! 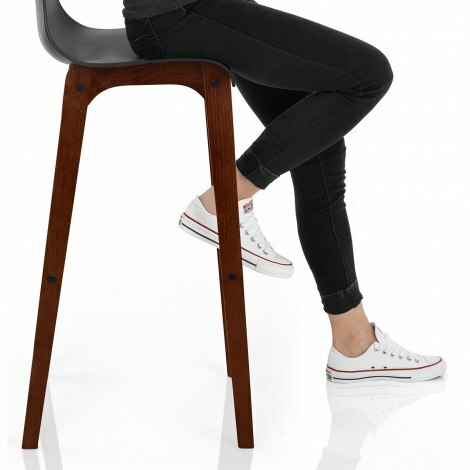 Great stools, easily assembled. Good quality and appearance. Bought these after a bit of research for our new house, they where a good price and I was worried they might of been a little flimsy. Not a chance, the build quality is perfect they came with clear instructions and look great. They're very comfortable too. Couldn't be happier!